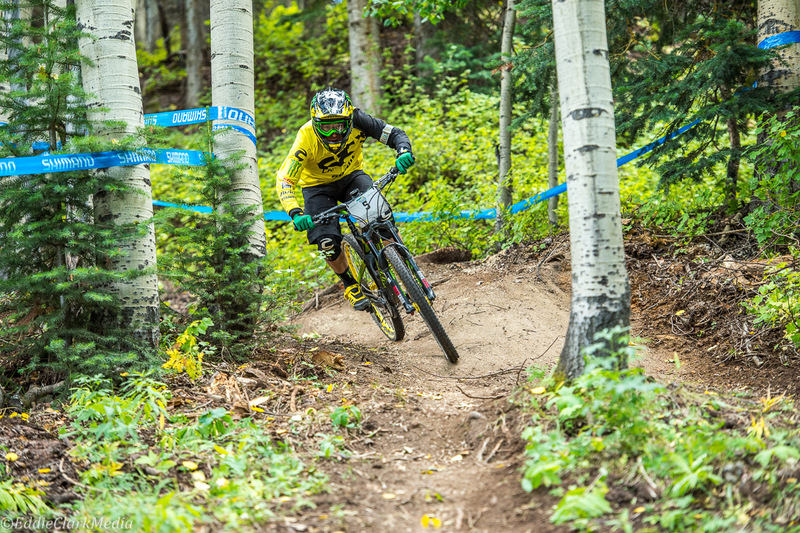 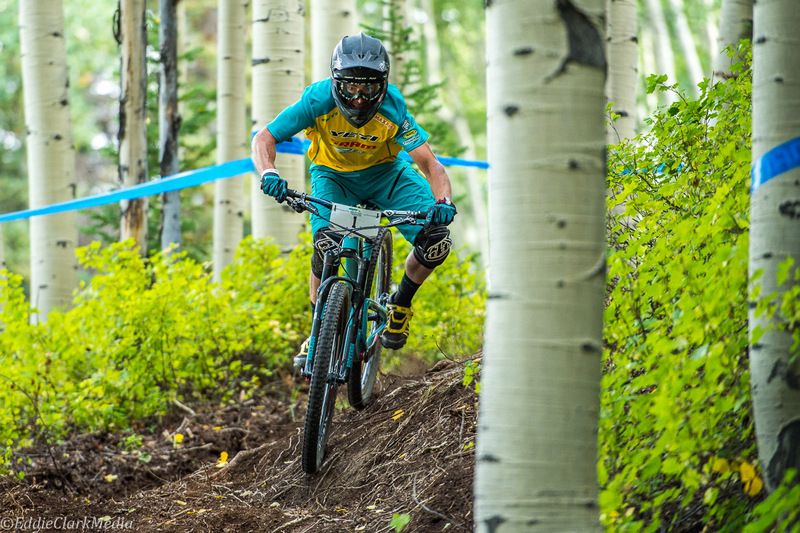 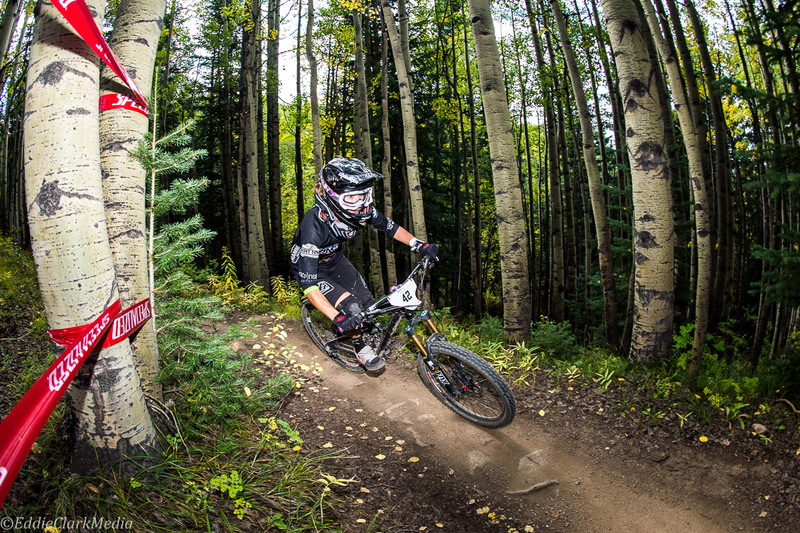 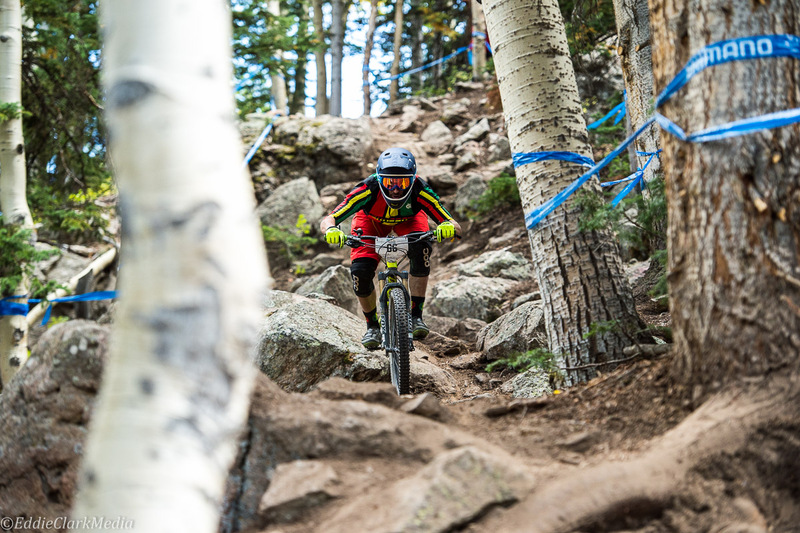 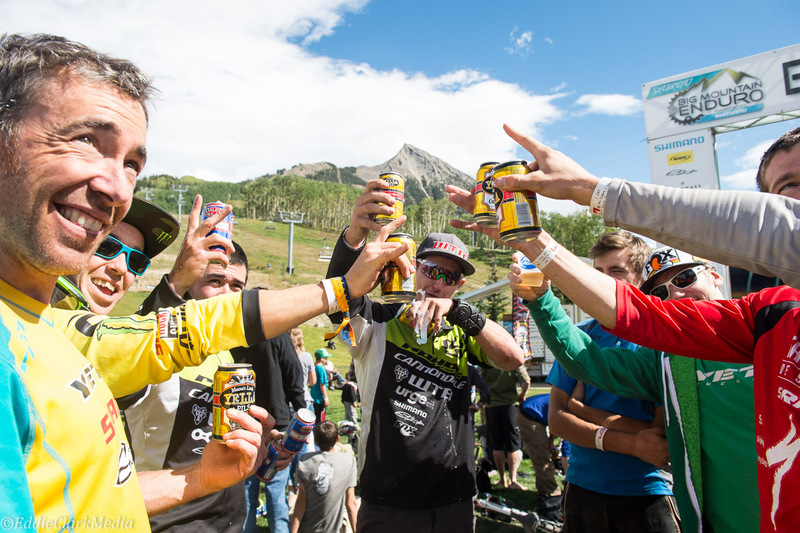 In a preview of the what will be the 2015 U.S. stop of the Enduro World Series, Crested Butte, Colorado, served up five challenging days of racing which wrapped up Sunday. 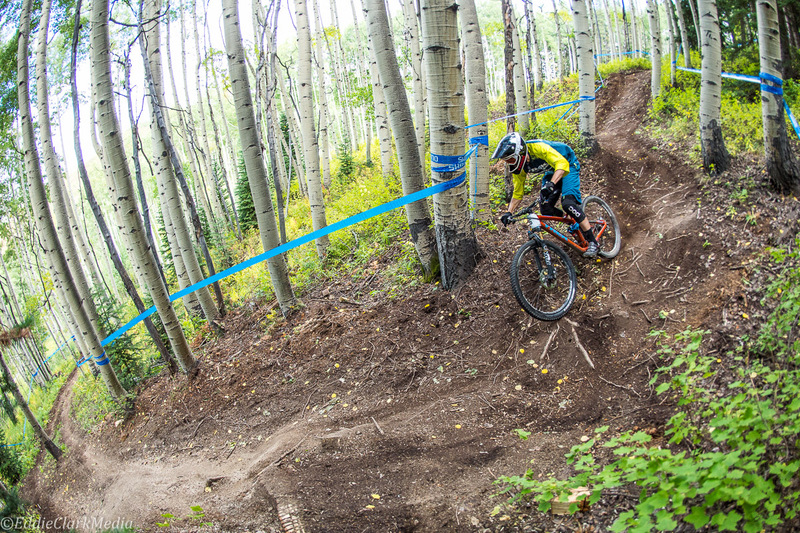 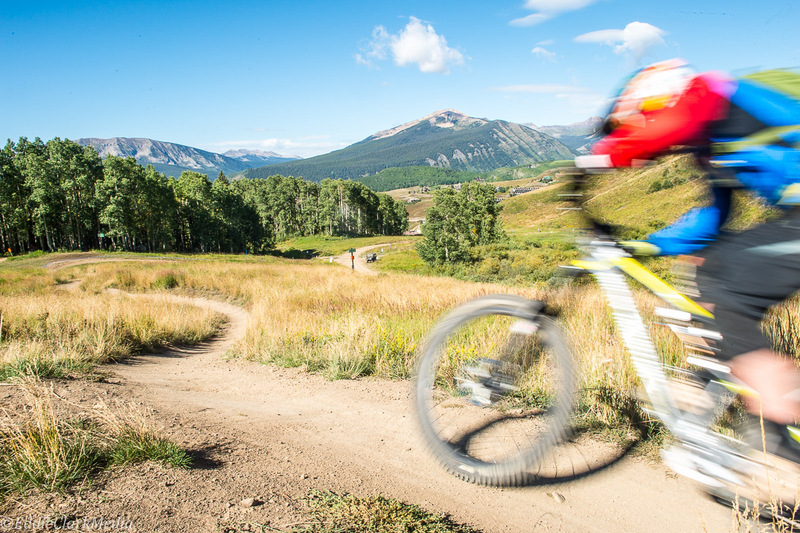 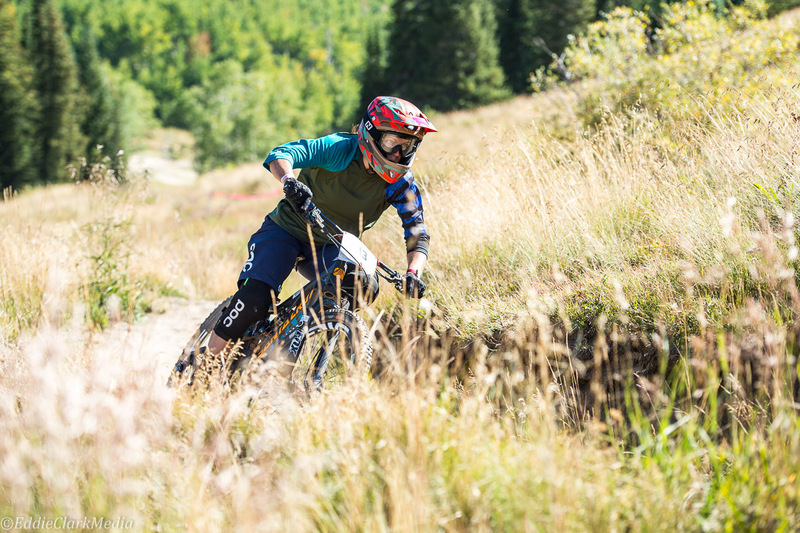 The final day of the Big Mountain Enduro Crested Butte Ultra Enduro saw racers tackle three stages at Crested Butte Mountain Resort’s Evolution Bike Park. 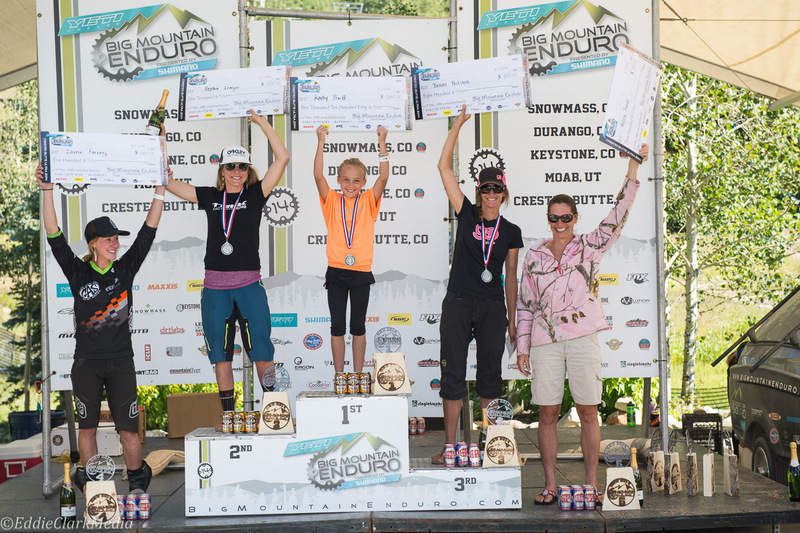 And once again, Marco Osborne and Kathy Pruitt were up to the task of defending their place atop the overall standings. 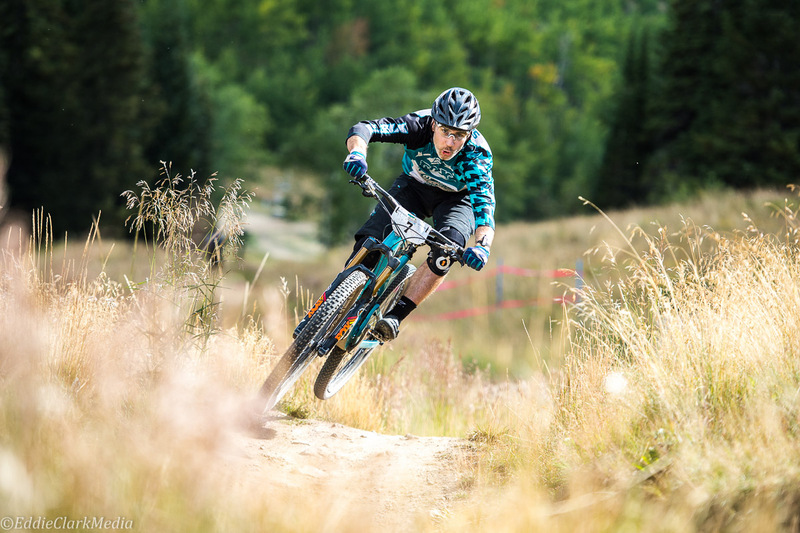 Osborne (WTB-Cannondale) was first, second and sixth on the final day’s stages, locking down the overall title. 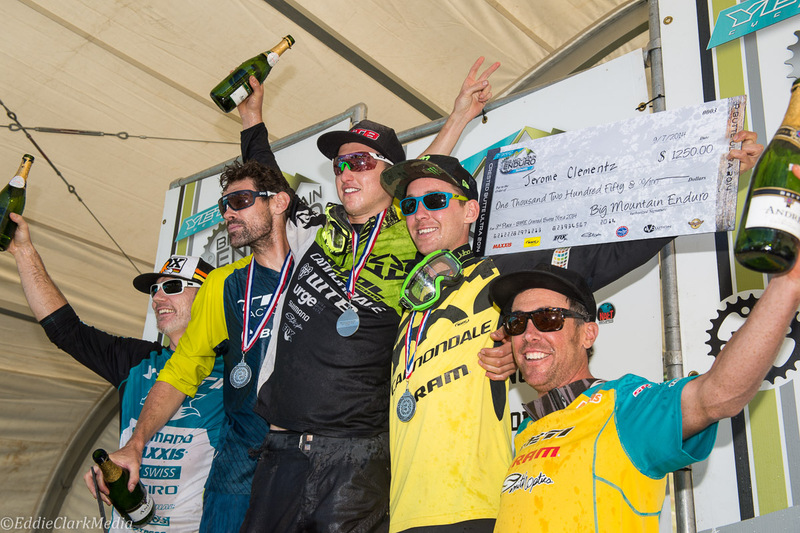 Ross Schnell (Trek Factory Racing) and Jerome Clementz (Cannondale/Mavic/SRAM) rounded the final overall standings. 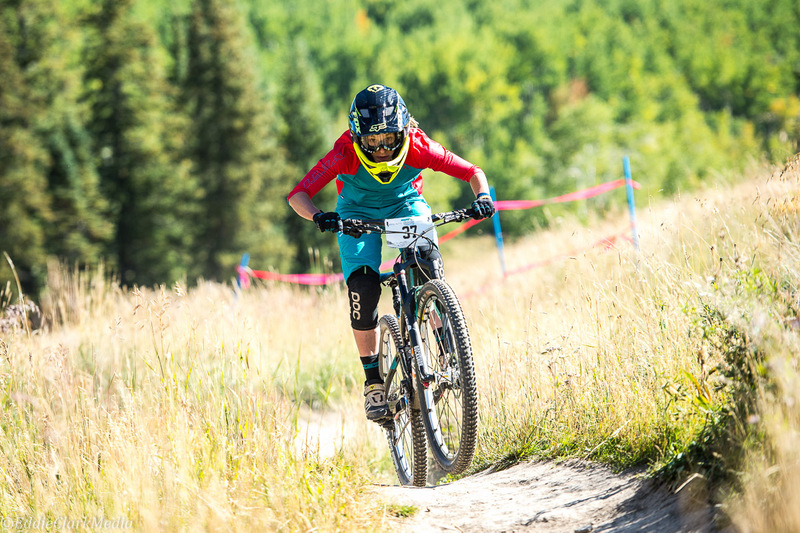 Meanwhile, Pruitt was first, second, and first again on the final day, easily protecting her place at the top of the overall standings. 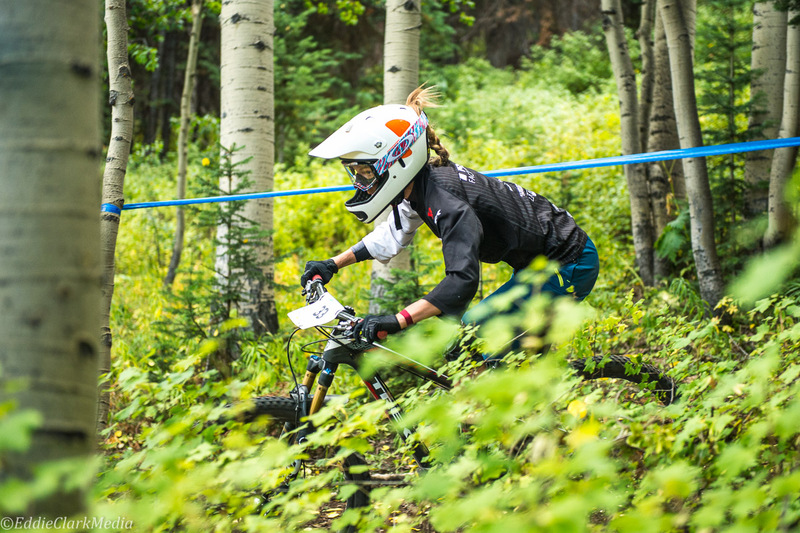 Heather Irmiger (Trek Factory Racing) slotted second, with Janae Pritchett (Griggs Orthopedics) in third. 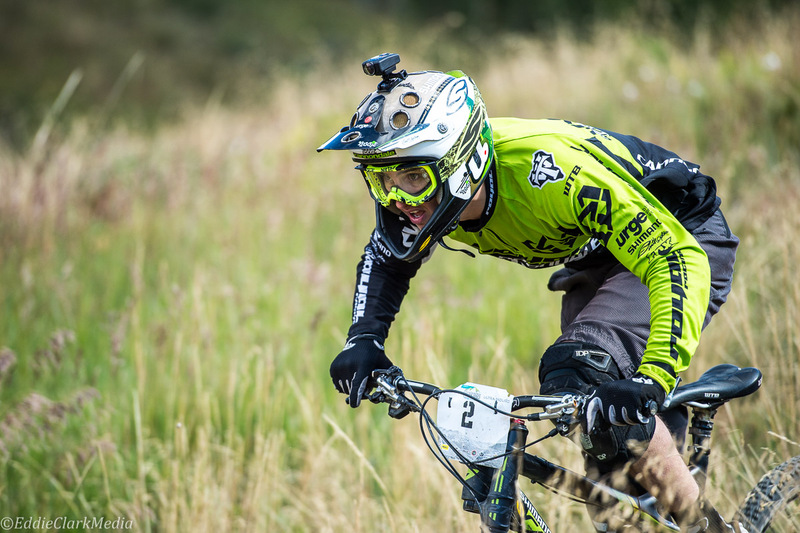 Sharpshooter Eddie Clark was course side once again and captured all the action for Mtbr. 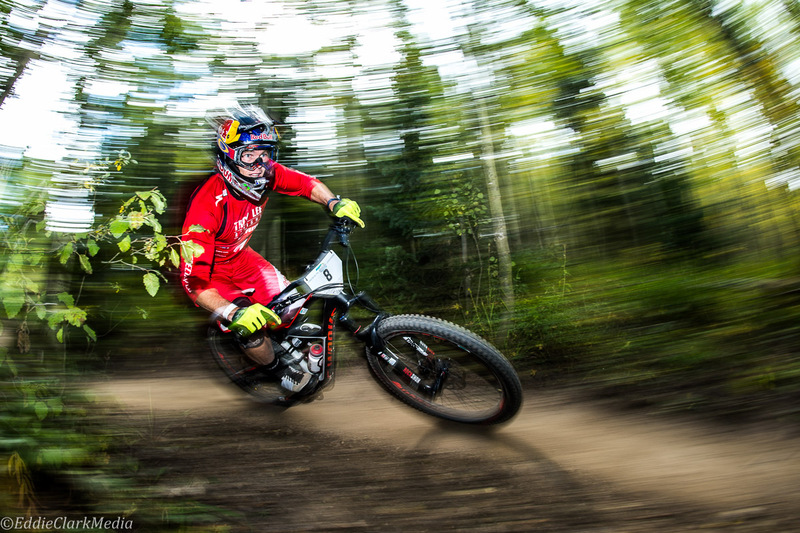 Scroll down to have a look — and check out all the event action in our Race Coverage archive.